Kerosene is accepted in DOT-approved containers at the MCMUA HHW Facility by appointment on most Tuesday, Friday and Saturday mornings. If you have a kerosene heater that still contains kerosene, you need to pour the kerosene into a DOT-approved container in order to transport the kerosene to the MCMUA HHW Facility in Mount Olive Township. 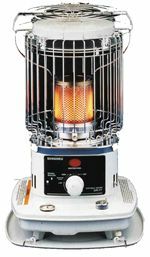 A serious fire and/or explosion hazard exists if the kerosene is transported in a non-DOT-shippable kerosene heater. Do not travel at your own risk and get a proper container to transport the kerosene. The heater is not a DOT-shippable container and kerosene should not be transported in the heater itself. Once empty, the heater should be disposed of with the ordinary garbage.